Most homes in the area use centralized heating and air conditioning systems: generating warm or cool air in a single spot and then distributing it through your home using a system of ducts. The ducts themselves thus become an important part of your HVAC system, and when they run into trouble, they need to be treated with the same seriousness that any other issue is. Duct breaches and leaks rank among the most common problems with duct systems. The good news is that a qualified HVAC repair technician can usually correct the problem, provided you can spot the signs and give them a call. Why Is There Frost on My AC Coils? Summer comes earlier and earlier every year, and that means your air conditioner is likely going to be put to the test every day. 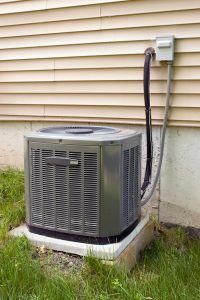 When trouble arises, you need to be ready for it, and one common sign of trouble is frost or ice forming on the air conditioner’s coils. At first glance, it may not seem like much. After all, aren’t air conditioners supposed to be cold? 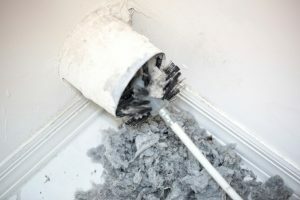 But in point of fact, frost on the coils represents a significant problem and needs to be addressed by a professional before your air conditioner runs for too much longer. Posted in Air Conditioning | Comments Off on Why Is There Frost on My AC Coils?